Matudnila.com - A Cebu Events Blog: Starbucks Frappuccino Booth, 2013 Planner, Espresso Beverages and more! Home Starbucks Planner Starbucks Frappuccino Booth, 2013 Planner, Espresso Beverages and more! Starbucks Frappuccino Booth, 2013 Planner, Espresso Beverages and more! Want Starbucks Experience at your own home or event? 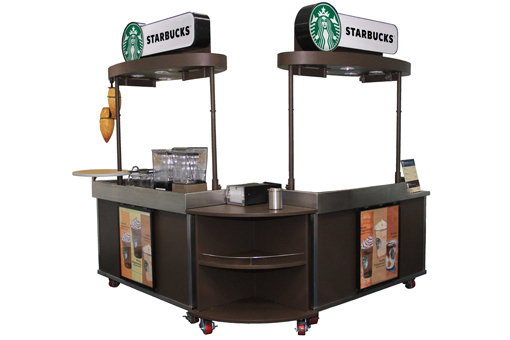 Cebuanos can now rent a Starbucks Frappuccino Booth consists of two modular carts for on-site preparation and serving of Frappuccino blended beverages and Brewed Coffee. You may choose between two available packages – Solo package includes 100 Tall Frappuccino blended beverages while the Doppio package includes 80 Tall Frappuccino® blended beverages and 40 Short Brewed Coffee. Starbucks Frappuccino Booth package costs Php 14,000. For inquiries, customers may call any Starbucks store in Cebu. Avaialble Starbucks Frappuccino Booth in Cebu is only one unit so reservation is needed. Good idea for your next birthday, debut, or events like weddings, company functions, meeting, etc. Few more days left before December, fast forward, we will now facing 2013. Have you grasps the 10th edition of the Starbucks Planner yet? This Limited Edition Starbucks Philippines 2013 Planner will be available in three leather covers with colors white, green and black. It has a magnetic bookmark, thirteen “kindness cards” with different Starbucks treats that may be redeemed at any Starbucks store in the Philippines during a specified period in 2013. 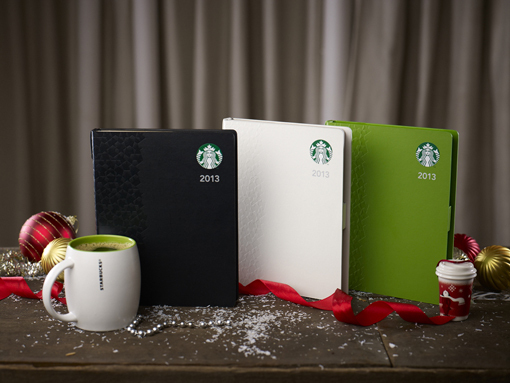 How to avail Limited Edition Starbucks Philippines 2013 Planner? The Limited Edition Starbucks Philippines 2013 Planner promo card is available from November 3, 2012 to January 8, 2013. Holder must accumulate a total of 17 stickers 9 Christmas beverage and 8 core beverages to redeem one Limited Edition Starbucks Philippines 2013 Planner. One sticker is awarded for each Starbucks beverage purchase. Every redeemed Limited Edition Starbucks Philippines 2013 Planner comes a donation for the children of SparkHope – an early childhood care and development program in partnership with UNICEF. The Flavor of the Season at Starbucks! 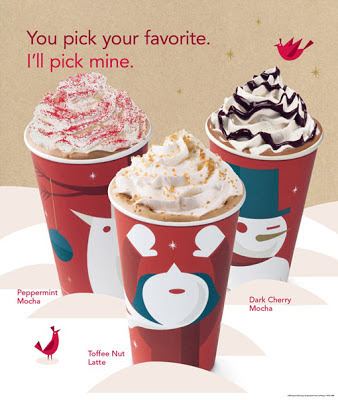 Starbucks is bringing back your favorite, delightful seasonal favorites to celebrate the Christmas spirit such as Toffee Nut Latte, Dark Cherry Mocha and Peppermint Mocha. This warm, heavenly beverage is sure to put you in the mood for Christmas - The Toffee Nut Latte has the rich, buttery flavor of sweet toffee combined with toasted nuts, blended with our smooth espresso and velvety steamed milk. Topped with whipped cream and toffee-flavored sprinkles. For Chocolate lovers, this delectable warm beverage will satisfy your chocolate craving this Christmas season. This Dark Cherry Mocha is for you, it stars a luxurious bittersweet chocolate infused with the flavor of sweet dried dark cherries alongside espresso and steamed milk. Enjoy the warm combination of espresso, steamed milk, bittersweet chocolate and peppermint flavor in this seasonal favorite. Topped with classic whipped cream and red sugar sprinkles, the Peppermint Mocha is not only for Peppermint fans but for everybody. 1 comments: on "Starbucks Frappuccino Booth, 2013 Planner, Espresso Beverages and more!" Hmmm.. nice idea at home.